Iturbe, A. (2017). The Librarian of Auschwitz. NY: Henry Holt. A Spanish author goes on a hunt for a good story , and through some serious detective work unravels the story of the littlest library in the world. Antonio Iturbe met up with Dita Kraus, who took him all over Prague to the house she grew up in before the Nazis sent her family to the ghetto in Teresin, and then on to the concentration camps. What follows is a remarkable story of a young girl given the responsibility of protecting the few rare and precious books left in their concentration camp, and her year of horror and dehumanization that follows. Older teens and young adults will be swept up in Dita’s journey. There is some raw language and violence. Glaser, M. (2017). The Book Jumper. NY: Feiwel & Friends. This is one you’ve got to read if you’re a bibliophile and you liked the concept of Inkheart. In The Book Jumper, Amy Lennox and her mother pick up and travel from Germany to her grandmother’s house on the Scottish island of Stormsay. She’s not looking forward to it, and upon arrival her grandmother already has one rule in place – she must read. Except Amy discovers she has the power to jump into books and interact with the characters! In fact, she discovers her family shares this skill and they are also keepers of an antiquated library. Amy quickly learns that a book jumper’s duty is to insure important ideas aren’t stolen from books; indeed, there is a book thief on the prowl. She meets another book jumper, Will, and together they travel from world to world, meeting famous characters and fighting to save crucial ideas before the books themselves are lost forever. Incredibly crafted and plot-driven, this story is unique enough to keep you happy. I especially found myself wrapped up in the Gothic island setting. Knudsen, M. (2006). 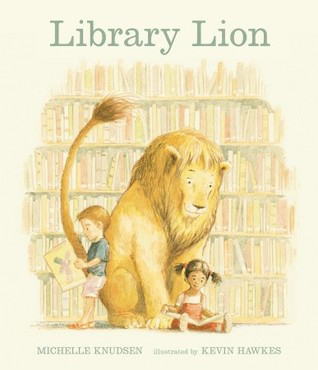 Library Lion. 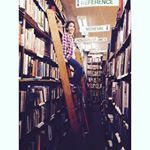 Cambridge, Massachusetts: Candlewick Press.